These terms were last updated on the 25th of May 2018. 1.2 You agree that you are at least 13 years of age and that if you are between 13 years and 18 years old, your legal guardian has reviewed and agreed to these terms and allows you to access and use our Services. 2.2 The charge for any individual item you can purchase via our games and Website shall be as stated on our Website at the time you place the order, except in the case of obvious error. The charge includes all sales taxes and other charges. Depending on which bank and/or payment processing partner you use, additional charges may be issued; we have no control over this and accept no liability in relation to the same. If you are unsure whether you will be subject to such additional charges then you should check with your bank or the payment processing partner, before making a purchase via our Website. We accept payment via different payment processing partners, which are listed when you open our deposit screen and can differ per country. Our payment processing partners may have their own terms and conditions and you should ensure you are in agreement with these prior to making any payment. If your transaction with our payment processing partners is not successful then your purchase will not be fulfilled. Upon the completion of a successful payment transaction then your purchase will be fulfilled to you as soon as possible – we aim to fulfill your order immediately at the point of purchase. 3.3 We will not be responsible to you for any loss that you suffer as a result of an unauthorized person accessing your account and using our Services and we accept no responsibility for any losses or harm resulting from its unauthorized use, whether fraudulently or otherwise. 4.3 You agree that all sales by us to you of Virtual Money and Virtual Goods are final and that we will not refund any transaction once it has been made. If you live in the European Union you have certain rights to withdraw from distance purchases. However, please note that when you purchase a license to use Virtual Goods or Virtual Money from us, the performance of our services begins promptly once your purchase is complete and therefore your right of withdrawal is lost at this point. Therefore, from the moment Virtual Money and/or Virtual Goods have been acquired, no refund or withdrawal will be accepted. You understand that Virtual Money and Virtual Goods are perishable goods. 4.5 Without limiting paragraph 3.5, if we suspend or terminate your account in accordance with article 7 of these terms you will lose any Virtual Money and Virtual Goods that you may have and we will not compensate you for this loss or make any refund to you. 5.2 You promise that all the information you provide to us on accessing and/or accessing our Services is and shall remain true, accurate and complete at all times. 6.1 All of our Games allow you to play against an opponent or to play socially with other users. You may be able to (i) choose to play against another user or (ii) play against, or play socially with another player on a platform or social network. Your infringement on any third party rights, including any intellectual property, publication, confidentiality, ownership or privacy rights. 14.1 These terms set out the entire agreement between you and us concerning our Services (as defined in paragraph 1) and they replace all earlier agreements and understandings between you and us. If you also access or play our Games via other platforms (for example, by downloading our Games to play via an App Store, or by accessing our Games via any other third party website or service, including, without limitation, Facebook) then different terms and conditions apply in respect of those Games. 19.1 If you have any questions about these terms or our Games you may contact us through the Contact form. 19.2 These terms were last updated on the 25th of May 2018. This Privacy Notice was last updated on the 19th of July 2018. 1.3 By accessing and/or using our Services, you consent to us collecting, processing, storing and sharing your Personal Information in the ways set out in this Privacy Notice. If you have any concerns about providing data to us or having it used in any manner permitted in this Privacy Notice, you should not use our Services. As set out in the terms and conditions relating to our Services, you must be at least 13 years old to access and use our Services. If you are between the age of 13 and 18, your parent and/or caretaker must have read and agreed to this Privacy Notice and have not objected to you accessing and/or using our Services. 3.2 GamePoint uses several data categories for personal information. Depending on the use of our Services, we may need to use personal information about you from one or more of the following unique data categories: Precise location coordinates, IP address, Name, Age, Gender, Address, Email address, Profile picture, Unique machine generated identifiers, Behavioral data, Online identifiers and Other identifiable data. 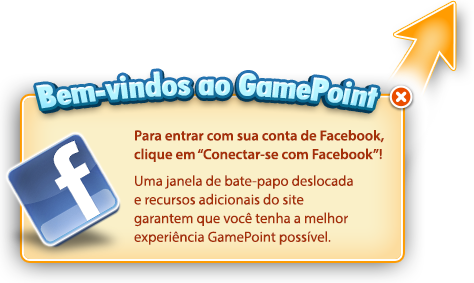 in the event that there is a sale of the assets of GamePoint or corporate restructuring, or as a result of a change of control of GamePoint or one of its group companies, or in preparation of any of these events. Any third party to which GamePoint transfers of sells GamePoint’s assets will have the right to continue to use the personal and other information that you provide to us in the manner set out in this Privacy Notice. We will not sell or rent your information to any third party outside of these circumstances. 8.3 You can make changes to what data a third party social network or platform shares with us, or stop our Services interacting with that social network or platform by adjusting your settings with that third-party provider, however you may find you are not able to enjoy all of the same features of our Services. 13.1 You have the right to inspect your information. In other words, you can request a copy of the information that we hold about you. If you would like a copy of your Personal Information, please contact us through the contact form using your player name – charges up to €22.50 may incur. 13.2 We want to make sure that your Personal Information is accurate and up to date. You can adjust all this information yourself by logging in on our website and updating your profile. 13.4 Information that you have shared via our Services on any social network or third-party platform cannot be adjusted or deleted by us where it is in the control of that social network or third party platform. In addition, where any third-party copies information which you have made available via the use of our Services (for example, one of your friends on a social network you allow to interact with your account), we may not be able to adjust or delete it because it may not be in our control. 15.1 To find out more about how your Personal Information will be used please contact us using our contact form.